HTC 11 leaked: Snapdragon 835 and 8GB RAM? When it comes to leaks, few can beat the Chinese social networking website Weibo as popular leaksters from Asia often choose the platform to unleash unofficial reports about technology. 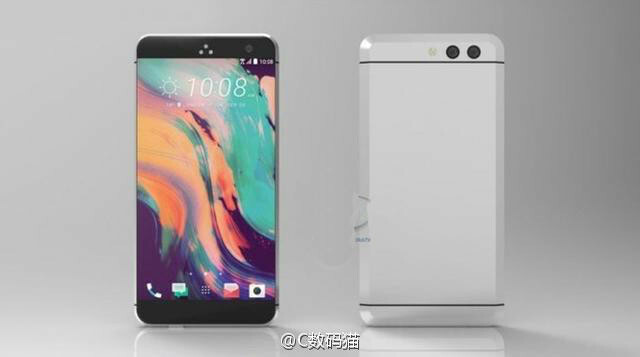 This time around, an image and certain details about the HTC 11 have been leaked on Weibo that point towards quite a beastly device from the Taiwanese company. Take a look at the leaked image above and the rumoured specs below to get an idea of what we are talking about here. While the specs do look very impressive, we are a bit sceptical about the 8GB RAM though. We are not entirely sure that HTC will bump up the RAM count on their next flagship smartphone from 4GB on the HTC 10 to 8GB on the HTC 11. It is more likely that the HTC 11 may sport 6GB of RAM instead. I guess we will find out more as we inch closer to 2017. Tags: htc leaked: snapdragon 835 8gb ram?